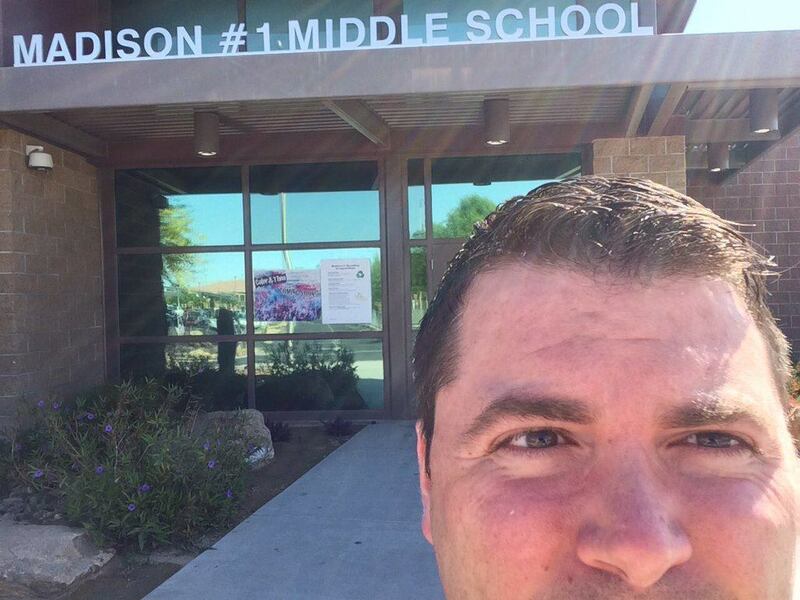 Just over a week ago (March 31st), I got the opportunity to team up with my co-worker and friend Matt Smith to give a talk for two different classes at Madison #1 Middle School here in beautiful Phoenix, Arizona. Once we were introduced and given the floor, we jumped right into our first talk for a class full of fifth and sixth grade students. We launched up jsbin.com and interactively made a website with each of the classes, starting off with an empty document and adding content and styles as we moved along. As we’re giving the demo and building a web page, we involved all the students by asking for suggestions and answering lots of their questions. We actually got so many questions with our first class that we didn’t even get a chance to finish the demo. 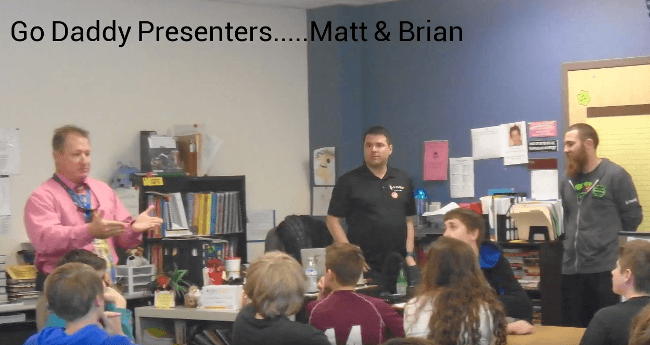 This is the second talk we’ve done at a local school, the first one being last year on November 13th at Madison Park Middle School. That talk was great too, although it was more focused on why we love programming and why we think it’s a great career path for all of them (instead of walking through a demo). Big thanks to Mr Hansen for setting this up (he’s in the pictures above in the pink shirt). It’s really important for me to be able to support other people and their growth. I didn’t have a lot of support while I was learning computer programming; not many people I knew were able to talk about it with me. The majority of my support was virtual (friends on AOL and IRC) although I did get to share my experiences with the father of one of my friends who had previously coded for the Commodore 64 (which was awesome). The people that did support me were generous with their time and believed in me. As much as I’d like to think that I made it here by purely being smart and working hard, I’d be lying- a lot of people helped me along the way and I will always be grateful for that. Please consider giving back in one way or another. It doesn’t take much time or effort and there’s a big reward: making a difference in people’s lives. You could talk to a classroom full of bright eyed kids like we did, be a part time mentor for someone you see potential in, or just go the extra mile explaining a topic to someone when they come to you for help. While preparing for this last talk, I got really inspired and started putting together resources for folks that want to learn more about programming. It’s still a work in progress, but you can click here to see what I’ve put together so far.